Grub Club Cambridge run social networking events for food and drink professionals to chat, collaborate and network – all whilst enjoying some great grub! The informal evenings are enjoyable and engaging, yet informative and beneficial. Leaving you full of great food and brimming with fresh ideas. Grub Club Cambridge is run by Vhari Russell and Cat New of The Food Marketing Expert. By organising regular events – the pair aims to bring together producers, retailers, buyers and their businesses – for interesting conversation, accompanied by delicious food and drink. The idea behind this foodie event is to encourage like-minded individuals in the industry to talk about the market, who’s doing what, share advice and build relationships in a fun and relaxed environment. Grub Club Cambridge is proud to be double award winning! ‘Best Networker’ in The Best Business Women Awards and ‘Networking Group of the Year’ in the East of England Business Champions Awards. 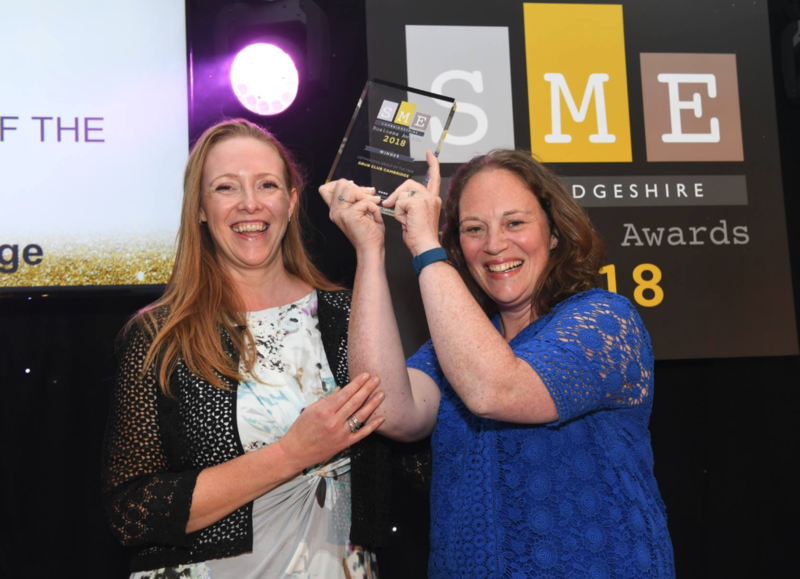 We’re also delighted to have won Networking group of the year in the Cambridgeshire SME awards. We have also been a finalist in the Cambridge News Food & Drink Awards 2016 and runner-up in the SME Cambridgeshire Best Networking Group 2017, and won Best Business Women networking group.